Courts Plus Community Center recently converted an unused racquetball court to a new dedicated functional training room. 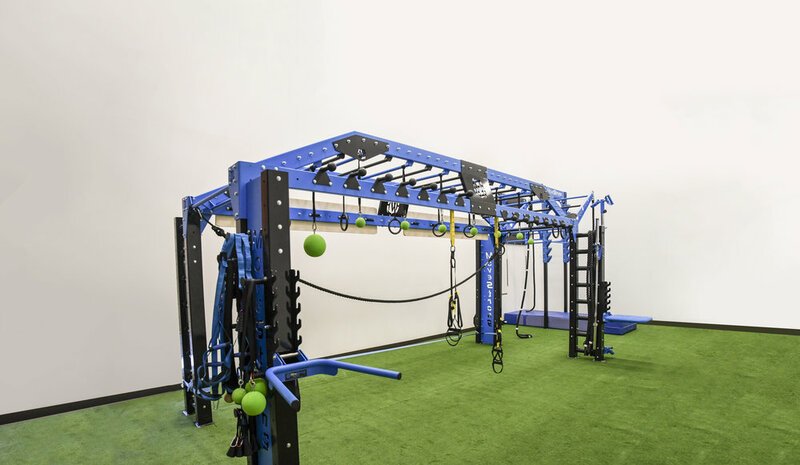 With the help of MoveStrong design ideas the space was created using equipment to offer varying styles of individual and group training for members to experience. The MoveStrong Nova XL FTS was chosen and customized with new NinjaStrong Training features. Also the MoveStrong Salmon Ladder added a challenge to the room for the to test thier skills at Ninja Warrior training! MoveStrong conducted an In-Service Training for staff and guest of Courts Plus. An introduction to MoveStrong philosphy on functional fitness exercise and hands-on demonstartion. Nova XL Functional Training Sation with new NinjaStrong training features! We had a great turn out for the MoveStrong In-Service workshop at Courts Plus. Here are a few highlights from the event!